Since surviving the mean streets of San Francisco’s Tenderloin District in the 1970s as a young transgender street kid, Tracie Jada O’Brien has persevered and worked tirelessly to become an outstanding role model within – and a staunch advocate for – the transgender community. 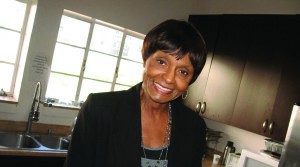 Professionally she has provided decades of life-saving work to the LGBT community as Coordinator of Project S.T.A.R. (Supporting Transgender Access to Resources), as an addictions treatment counselor at Stepping Stone of San Diego — and most recently — as a medical case management worker for Family Health Centers of San Diego, Inc. Always one step ahead of the movement, she participated in the first consultation forum for trans* individuals with the CDC in 2005. She helped create the first HIV Prevention brochure targeting trans* women of color – and even posed as the cover model. She founded San Diego’s Transgender Day of Empowerment that is now in its fourteenth year and the Tracie Jada O’Brien Student Scholarship Program that gave out three scholarships to deserving trans* and gender-nonconforming youth in its very first year. She has been a speaker for and active with the Transgender Leadership Summit, The California Office of AIDS Transgender HIV Equality and Party Conferences, Transgender Center of Excellence (San Francisco), and the Center of Excellence for Transgender HIV Prevention and many more.